1. As soon as Advance Concrete has finished loading, input CUI on the command line. 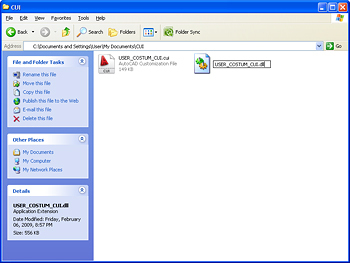 The "Customize User Interface" window is displayed. 2. 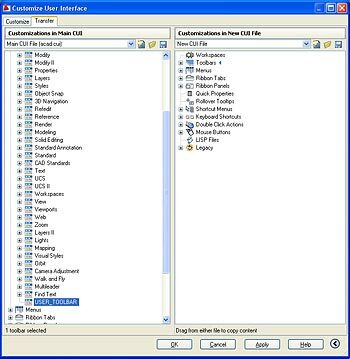 On the Customize tab right click on Toolbars, and then select New Toolbar. 3. Type the name of the new toolbar. 4. Select the Transfer tab. 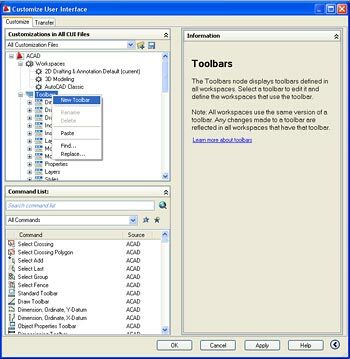 Expand the Toolbar group and select the newly created toolbar. 5. 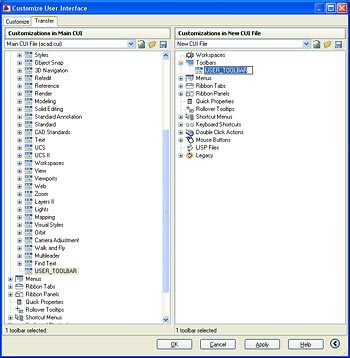 Move the new toolbar by "drag & drop" to the Toolbar group on the Customizations in New CUI File panel on the right side. 6. On the right panel of the window, click to save the new configuration in a *.cui file format. 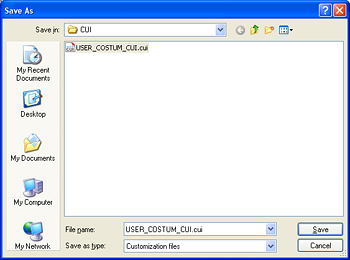 In the "Save as" dialog box type the name of the *.cui file and select the folder where this file will be saved. 7. 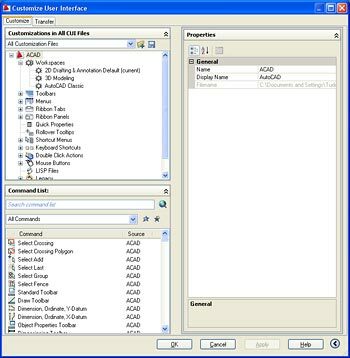 Go to the folder C:\Documents and Settings\USER\Application Data\Graitec\AdvanceConcrete\2009\Support. 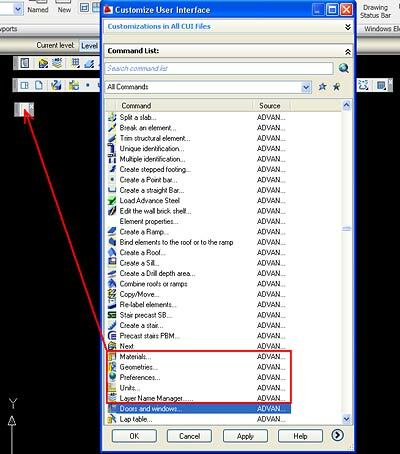 Copy the advance91.dll file to the folder containing the recently created *.cui file. 8. 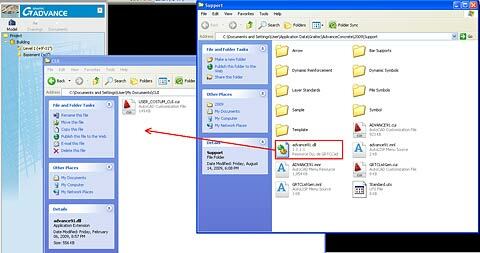 Once you have copied the file, rename it with the CUI filename (keeping the .dll extension). 9. Return to Advance Concrete and enter CUILOAD on the command line. 10. In the "Load / Unload Customizations" dialog box click Load to select the previously saved *.cui file. Click Close to exit. 12. 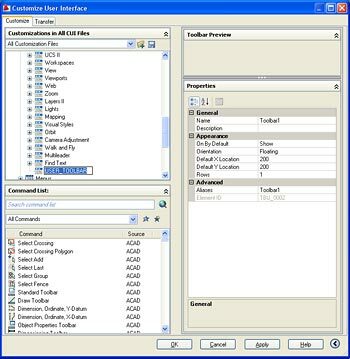 Using "drag & drop", place the desired buttons from the "Customize User Interface" dialog box to the new toolbar. 13. Click Apply and close the dialog box. The customized toolbar is ready.